Communities Inc. has been working closely with Thomas Helwys Baptist Church on the Living in Lenton project, which aims to engage residents of Lenton in community activities that bring different people together to promote community cohesion. As part of this project we were partners in the Picnic in the Park event on Sunday the 12th of June at the Lenton Recreation Ground. Due to the uninviting weather conditions the event was moved to the Holy Trinity Church after one hour, where event participants could get together, enjoy the food and refreshments provided as well as listen to live classical music and bell ringing. 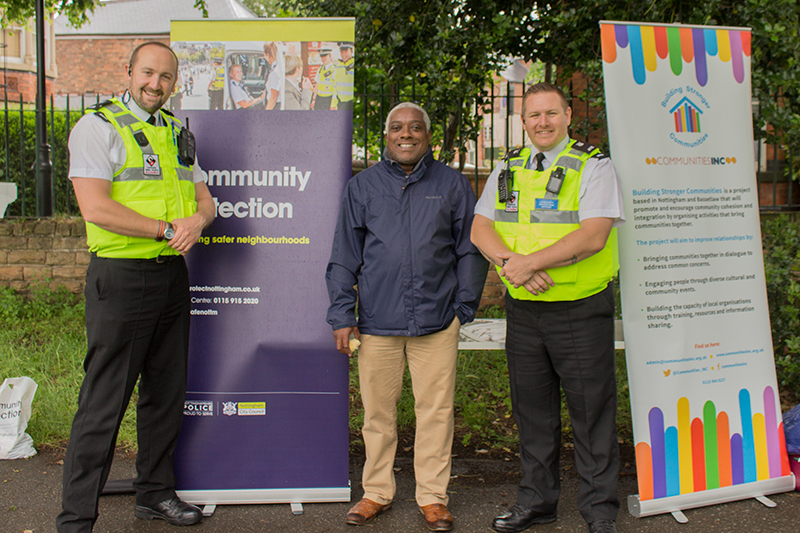 Communities Inc. and other organisations such as Nottingham Community Protection and Nottingham City Homes were also present to raise the awareness about their services and community events. Communities Inc. were promoting their pop – up hate crime reporting centre where people could find out more about hate crime as well as report any incidents. Shamsher Chohan from Communities Inc. said “it was a great event to share news of the work we are doing to encourage the reporting of hate crime and building stronger communities across Nottingham”.